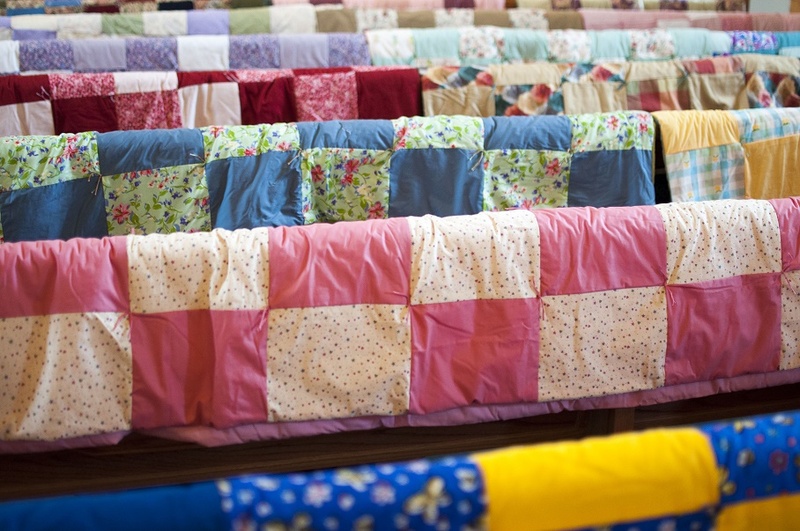 The Comforters is a group making comforters, lap robes and prayer shawls for others. Much of the work is done to support Lutheran World Relief’s Mission Quilt ministry but also to others in need of a warm blanket, a lap robe or a prayer shawl. Anyone can become a comfort maker or lap robe maker. It is not necessary to know how to sew. We can find a spot for anyone. Prayer shawls are crocheted. Volunteers can come and help as for as little or as long as you like on Tuesday morning. Long abandoned ‘dresden plate circles’ are lovingly (and patiently) pieced into a quilt for one of Messiah’s members. Messiah’s Comforters group made blankets in support of the Salvation Army’s “Angel Tree” program. Today is final day to place bids in their annual quilt silent auction.